35 And the angel answered her, “The Holy Spirit will come upon you, and the power of the Most High will overshadow you; therefore the child to be bornwill be called holy—the Son of God. B. If Jesus Christ were not God, then it would be idolatry to worship him (Rev. 22:8-9; Isa. 42:8 & John 17:5). But the Bible teaches that Jesus is to be worshiped; therefore, he is God (Heb. 1:6; John 9:38). C. If Jesus Christ were not God, he could not be savior (Isa. 45:21, 22). How could the blood of an ordinary man pay for the sins of the whole world? The claims of divine justice are infinite. Our sins deserve eternal punishment. Only God can satisfy the claims of his own justice. Only the infinite merits of God himself can pay for the penalty of sin. But the Bible says Jesus Christ is our savior from sin; therefore, he is God (Matt. 1:21, 23). (1) His sufferings for us were genuine (Isa. 53:6). Only as man could he share human suffering. (2) His love for us was great (Rom. 5:6). 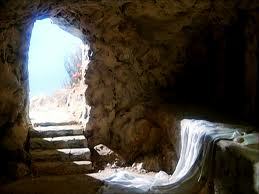 Had he not taken the nature of man he could not have demonstrated his love for us by dying for us. (3) His sympathy for was sincere (Heb. 4:15). He understands what it means to be tempted, to be hungry, to be thirsty, to be wounded, to be hurt both physically and emotionally, to be rejected by his own family and people, to be forsaken and even betrayed by those closest to him. CONCLUSION: JESUS CHRIST IS THE GOD-MAN. Because Jesus Christ is truly man, he is a compassionate savior. We can be confident that he is willing to save us if we come to him (Heb. 4:16; Matt. 11:28).